What material are your windows constructed from? 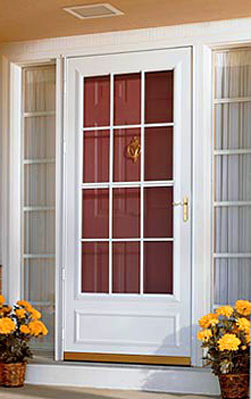 Viva windows are constructed from superior quality UPVC vinyl. What makes vinyl windows better than wood or aluminum windows? Besides their aesthetic value, the most important function of windows are their ability to effectively insulate your home and prevent energy loss. Wooden windows are a good insulator and do a great job in preventing heat loss however given the properties of wood, they tend not to last very long. When exposed to moisture, wood expands and when dry, wood contracts. Through the seasons, this change in size results in seal and frame damage to the surrounding structure, the paint begins to chip off, and ultimately it's insulating value deteriorates to almost nothing. Aluminum windows are very structurally sound but being a metal, aluminum does not make for a very good insulator of energy. Windows constructed from aluminum are also painted and after time, they require maintenance and must be painted every few years. Vinyl offers exceptional energy efficiency which helps maintain constant temperatures in your home. Vinyl windows have welded corners which make them air tight and prevent air and water from entering and damaging your home. Vinyl also acts as an excellent noise insulator which makes for a more peaceful living environment in your home. We offer a 40 year warranty on the frame and 20 years on the sealed unit. Where can I get prices for your products? You can obtain specific pricing for our products by filling out the form on the "Contact Us" page or by calling our service office at 416-628-6060. 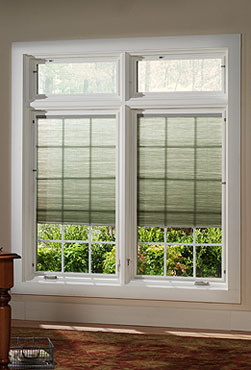 Viva windows offers professional installation for all of our products. Can I purchase windows without installation? Although we strongly recommend that our windows are installed by our skilled craftsmen, you can purchase windows and install them on your own. What colours are available for your windows? Our windows are available in over seven different colours. I have an older home and I want to replace the windows and doors. Can Prime Seal replicate the look of my current windows? 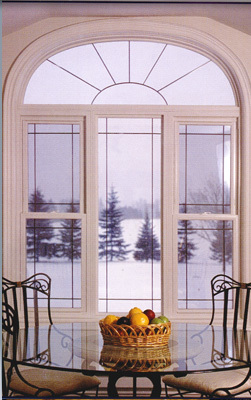 Absolutely, Viva can custom manufacture windows to your specific requirements. We can suggest a style that will perfectly suit your home. What is argon gas and why is it used with Low E glass? Argon gas is a non-toxic, odorless, colorless, and non-flammable inert gas. Argon makes up about 1% of the atmosphere we breathe every day. The beauty of argon is that it does not chemically combine with any other element and it also acts as an excellent insulator by slowing convection in the air space between the two glass panes. Argons level of heat conductivity is much less than that of air which makes for a lower U-factor for the window. Argon gas is used in conjunction with Low E glass to provide the maximum level of enegry efficiency for the sealed unit. Argon with Low E is a relatively inexpensive addition that will easily and quickly recover it's cost in heat savings. 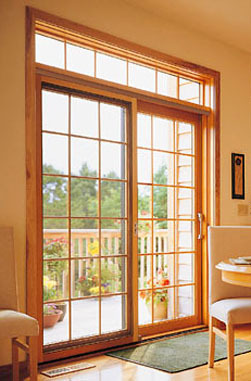 The rate of heat loss is indicated in terms of the U-factor (U-value) of a window assembly. The insulating value is indicated by the R-value which is the inverse of the U-value. The lower the U-value, the greater a window's resistance to heat flow and the better its insulating value. What is low emissivity (Low E) glass? The low-emissive (Low-E) coating is a microscopically thin, virtually invisible, metallic oxide layer deposited on a window pane primarily to reduce the U-factor by suppressing radioactive heat flow. The principal cause of heat loss in a multi-glazed window pane is the transfer of thermal radiation from a warm pane of glass to a cooler pane. Coating the glass surface with a low-emittance material and facing that coating into the gap between the glass layers blocks a significant amount radiant heat transfer, thus lowering the total heat flow through the window. Low-E coatings are transparent light from the visible spectrum thus the coating is not visually apparent to us. Low E coatings also reduce harmful ultraviolet rays that cause drapes and upholstery to fade. How can i find out what it would cost to change my windows or doors?